Completed: 3-21 Greatest Hits, 3-22/3-23 Through the Looking Glass. 31 episodes left, 57 days to go. As you know, I don’t know anything about the show that is to come. I use to think they got off the island but I think the flash forward I just saw got me off the hook of that spoiler. 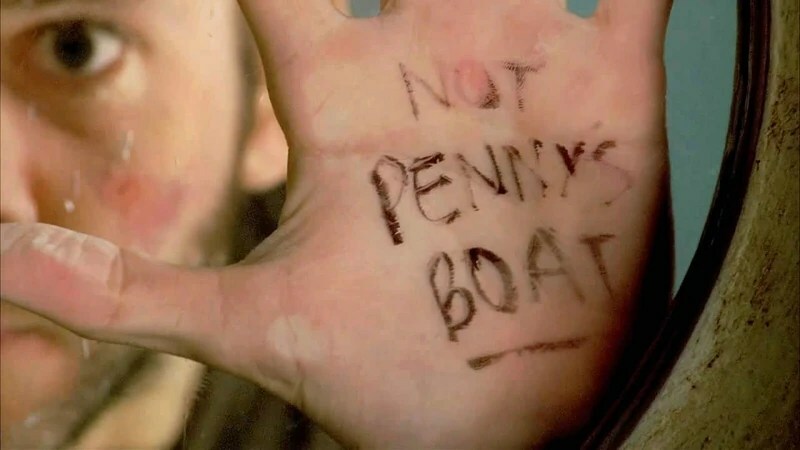 Next on Finally Lost…I’ll review the poll (last chance to vote), tally my abysmal prediction record and make my season 4 predictions. Completed: 3-16 One of Us, 3-17 Catch-22, 3-18 D.O.C., 3-19 The Brig, 3-20 The Man Behind The Curtain. 34 episodes left, 58 days to go. As you know I don’t know anything about this series except that I’ve seen previews that suggest that the survivors get off the island at some point. So much happened in these 5 episodes and I’ll try to get to it all. Recap: We learn that the Ice Princess (Juliet) was recruited to figure out why mothers who get pregnant on magic island die during their 2nd trimester while Other Ben used her sister’s remergent cancer as leverage to keep her on the island. We also learn that the Ice Princess is really a mole and activates Prego’s (Claire) implant to make her sick so Ice P can gain the survivor’s trust by curing her. Elsewhere after Desmond sees a future-flash, he leads Hurley, Jin & the Hobbit (Charlie) to find a helicopter crash survivor and with the help of Patch Adams (the russian Other) he returns her back to health. The conveniently hidden ultra-sound machine reveals that it was Jin who knocked up Sun and the Ice Princess explains that the sperm count of males on magic island is 4-5 times higher than on normal deserted islands. Locke returns to find Sawyer and brings him to the Black Rock so he can kill Daddy Locke for him because it turns out Daddy Locke is con man Sawyer! After revealing to Sawyer that Ice Princess is a mole, Locke returns to the Others with the body of Dead Daddy Locke and proclaims he and Other Ben are going to see Jacob. Locke hears a voice that says “Help me” but believes Jacob is a figment of Other Ben’s imagination and after an argument, Other Ben shoots Locke and leaves him for dead in a pit filled with deceased Dharma workers that Other Ben had betrayed years before. Back at Camp Survivor, Sawyer reveals that the Ice Princess is a mole but Jack says he already knows and they are trying to come up with a plan to counter the coming Other attack. I think I know what’s going on with the Others now. The original Others are native to the island and put great value on anyone that can communicate with the island; they call these people “special”. For whatever reason they got into a long war with the Dharma folks and finally exterminated them with Other Ben’s help. Other Ben likely rose to the tops of the Others food chain because he was very special as demonstrated by his ability to see his dead mother (this must mean Jack & Mr. Eko are special too). The Others serve this Jacob fellow and would probably be content to live on the island except they can’t reproduce because mothers that conceive on the island die during pregnancy, so they need to kidnap kids and perform tests on pregnant moms. When the plane crashed Other Ben wanted a list of 4 names, this was either a list of 4 special people or potential knocked up ladies. To serve knocked-up ladies soup (a magic island specialty) simply add horny men with abnormally high sperm count with mediocre to hott -looking women on a deserted island place setting. I always wondered why The Others let Kate & Sawyer “get stuck in a net” while imprisoned in the cages but they must have wanted Kate to get prego’d. It also must be one of the reasons The Others didn’t want to help the survivors of oceanic flight 815 get off the island. Now that we have The Others solved there are a few other topics that need to be looked at. Daddy Locke is Sawyer!! I received comments from a friend about something that was starring me in the face since season 1! I should have guessed this since his favorite character is Locke. Great plan by Locke to use Sawyer to kill his dad…How do The Others have some great info on all the survivors?? Someone is definitely pulling the strings…I like that Locke told Sawyer he is on his own path and I believe him. Locke only cares about the island, he’s not with The Others nor the survivors. It was also great to see Locke manipulate Other Ben into taking him to see Jacob. At first I was inclined to agree with Locke that Jacob is made up but now I think he is real. I don’t however, know why Jacob needs help from Locke. Then there was Other Ben’s flashback. I could write a whole blog just on that. He was NOT born on the island! His mother died giving birth to him 2 months premature and his father was none-other-than Roger the Workman, supplier of the beer & truck fun! Young Ben was recruited to betray his Dharma brethren by hasn’t aged a day Richard. I would attribute this a magical island property but Other Ben and SlingShot (Frenchy’s (Danielle) daughter) have clearly aged. After I finished season 2 I was given a link by a friend to a synopsis of the Lost Experience game that took place during the season 2/3 summer break. The synopsis explained what the numbers were and referenced Dharma’s work on life extension so I wonder if that’s what’s going on here. Then there is Penny. With enough money and determination you can find anyone! Penny recruited Bi-lingual chick (Naomi) to track down Desmond but her helicopter crashed as she got close to the island. I don’t know why her helicopter failed because clearly some electronic equipment works on the island. Maybe the hatch blowing up changed the dynamic or maybe it’s only planes & ships that go bomb which is why The Others use a submarine. In either case Bi-ling revealed that the world found the wreckage of 815 and all bodies were accounted for. Dun dun dun. I think this is the CEO’s work and he wants these people with all these connections on the island. How he got them there all at the same time is beyond me. – I love Sun flashbacks and it was heartbreaking to find out either she was going to die or the baby wasn’t going to be Jin’s. I’m glad it’s Jin’s baby. – I don’t think Locke’s dead, he will Wolverine heal. I would like to go back through the episodes and see how many hints there are to the wolverine-like healing speed on the island. Makes me wonder why Boone & the marshal died. – The survivors don’t trust Jack anymore but I think he’s still trust worthy. The Ice Princess on the otherhand is a snake and I wouldn’t trust her. She’ll do anything to get off the island and I think she believes using Sun as a lab rat will be her ticket. – Sayid, fix that satellite phone before The Others get it! – Desmond almost sacrificed the Hobbit to find Penny. A ballzy move my friend. – Deaths: The Hobbit won’t make it to season 4 and neither will Other Tom. Next up on Finally Lost…I’ll finish Season 3! I hear that the last 15 seconds are a mind blower. Completed: 3-12 Par Avion, 3-13 The Man From Tallahassee, 3-14 Expose, 3-15 Left Behind. 39 episodes left, 59 days to go. As you know I don’t know anything about this series except that I’ve seen previews that suggest that the survivors get off the island at some point. What a great 4 episode clip! I think this must be the part of the series where the writers, much like the universe, course corrected. I am seeing more answers being given, the pace of the story has picked up and they even buried alive Enrique the Cook and Anna Nikki-ole (ew she really banged that old guy for $8M?) I was surprised to learn that people really hated those 2 since I only remember them being in 1 or 2 episodes but the show must feel a lot different when it’s viewed one week at a time. So the recap: Prego (Claire) uses her nature channel knowledge gained from hanging out with comatose mom to tie a note to a electronically monitored migrating bird; the Hobbit (Charlie) & Desmond come clean to Claire about Charlie’s future death and we learn that Jack’s Dad is really Prego’s father (man that guy get’s around). Kate, Sayid, Frenchy & Locke go over the sonar defenses and through the woods to Others Camp to rescue Jack but are appalled to find he is working with The Others. Sayid & Kate are kidnapped and Locke is Other-Ben-whammied (new term for being Ben-manipulated) to blow up the submarine only to be given the gift of his biological father all tied-up. Back at camp, Hurley and the gang have a Hardee Boys mystery hour and figure out that Enrique & Anna Nikkiole were killed over diamonds but missed the memo about them only being spider-paralyzed so they were buried alive. Finally, the episode “Left Behind” treated us to a handcuffed mud wrestling match between Kate & the Ice Princess (Juliet) where the only winners were the males in the audience. Eventually they made up (sadly without kissing) and escaped the black smoke and found Sayid and Jack at Camp Others. I know Prego only gets one flashback per season but they are always among my favorites. We finally get to see who Daddy Jack was trying to visit in Australia when Ana Lucia was in the car. I knew it’d eventually be someone important but I had no idea it’d be a grownup Prego! I’ll spare you all from my complaining about how long we will have to wait before Jack & Prego realize they are halfsies but just know I’ll be frustrated till it happens (prolly in Season 5 or 6 grrr!) I’m very intrigued that The Others know EVERYTHING about the survivors of flight 815 and they surely must know all about these connections. Maybe The Others will invite the survivors to a magic island thanksgiving and tell them all about the connections before slaughtering them. Stranger things have happened. At least Dez & the Hobbit told Prego about Dez’s future flashes. – “No, John, unfortunately we don’t have a code for ‘there’s a man in my closet with a gun to my daughter’s head,’ although…we obviously should”. I hate him, I love him. And he finally gives us some answers. He confirms the island is in fact magic island and has healed Locke (and likely along with Rose & Jin’s boys) but we don’t know why it hasn’t healed Other Ben (perhaps he is immune because he’s lived on the island all his life?). He tells us why he wanted the sub blown up and we learn about his manipulative plan to capture Jack, Sawyer & Kate. What we are still left to ponder is…why won’t he let people leave the island? What are they doing on the island? Is there really a magic box and how/why is the island so magical. Where did The Others go? And HOW did they acquire Locke’s dad? I’ll make some predictions soon but for now I’m going to guess that Daddy Locke came in another plane with the most recent hatch anomaly that caused Desmond to use the fail safe. A few words about Expose’. Any episode that has hott Nikki as a stripper dancing to rump-shaker, a Billie D Williams cameo as himself, Sawyer in the middle of a whodunnit, and 2 people buried alive is a classic episode to me. I LOVE how we got to see Enrique & Anna Nikkiole play small parts at vital times during this show’s timeline. So are they really dead?? I guess I’ll give them a couple more episodes before I call time of death but what a GREAT ending. I love how this episode explained little things like Enrique going off to the bathroom, why Enrique wanted to go to the new hatch and how the survivor’s knew about the guns in the marshal’s briefcase (I think I questioned how Shannon knew about the guns at one point?). It was great to see Other Ben and the Ice Princess planning in the hatch but I wonder why the Others leave those hatches abandoned. Finally a few words about Left Behind. The connections are really coming full circle. It makes sense why Sawyer was in Kate’s Mom’s dinner…the lady from the long con must have lived close by. Now the Con Lady helps Kate get a moment with her mom and tells Kate about her being knocked up by a con man. She came SO close to using the name Sawyer it hurts! Kate is the reason Sawyer ended up in prison! Sawyer really does have a daughter! I really hope the survivors discover these connections. Last word on the episode..I love that Hurley conned Sawyer into being nice to everyone and taking over as leader. Those two should always be on screen together! Next up on Finally Lost…Jack & company return home to end Sawyer’s brief stint as commander and chief and hopefully Sayid will interrogate the Ice Princess. Now we can find out everything! I still don’t trust her and wouldn’t put it past Other Ben to have injected her as a spy. She did after all go out of her way to handcuff herself to Kate in the middle of nowhere and then lie about it! I have always had a difficult time waiting to find out the ending of my favorite movies, TV shows & books. My resume of obsession includes watching Season 1 of 24 in 3 days, watching Season 2 of 24 in 18 hours and reading each Harry Potter book in one sitting. Knowing that I would love and become obsessed with Lost, I decided to wait before the last season to begin watching it. 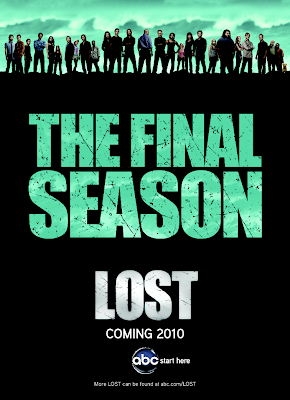 This blog will follow me as I watch 5 seasons (103 episodes) of Lost before the final season begins. Relive the experience through me and feel free to mock my terrible theories. Please do not post any spoilers! LOST Chance To Answer Questions?? What will you do after LOST ends?